But living in it would have been something else. Sengoku Jidai (translated as The Warring States period, but I think it's better to use the Japanese term in this case) as the name suggests, was a time of almost constant war between the various warlord led States—everywhere! Let's put this as simply as possible: Japan in the 16th century wasn’t a very fun place. Sengoku jidai wasn't a nice time. The shogun was the ruler of the country in theory, but in reality he had completely lost all control of the land. Local lords, or daimyo, were taking more and more power for themselves and completely ignoring the shogunate government. As the daimyo grew stronger and stronger, they started warring with each other in attempts to conquer more land for themselves. Because this was happening all over the country, this entire century (roughly 1477–1603 to be exact) is known by historians as Sengoku Jidai, or the Warring States period. Now we get to the real exciting part. Strange but true, three of the men considered to be at or close to the top of any greatest Japanese military leader list all come from the same area! These are among the most famous figures in Japan. All school children learn their names, their deeds, even their personalities in the same way that we learn all about George Washington (for our US readers…). Countless books, manga, anime, TV dramas, movies, and video games have been made featuring these men. In effect, they founded modern Japan, or at least laid the groundwork to make it possible by uniting the land. The strangest fact of all: They all come from the same place, even the same prefecture if we use modern geographic lines. I won’t keep you in suspense. 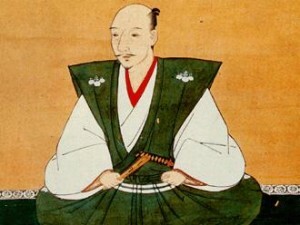 The men are Oda Nobunaga (織田 信長), Toyotomi Hideyoshi (豊臣 秀吉), and Tokugawa Ieyasu (徳川 家康). What if a bird doesn’t want to sing? So, these three men were born into sengoku jidai, a land in constant war. Bad luck, maybe, but they quickly rose to take control of it. Nobunaga was first. Born in Owari providence, the western half of modern day Aichi prefecture, he quickly became a force to be reckoned with and conquered most of central Japan. He likely would have done more, but was assassinated by one of his generals. 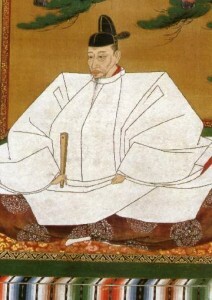 Hideyoshi, another Owari native who was also one of Nobunaga’s top generals, quickly took over and more or less completed Nobunaga’s conquest of Japan. Showing his ambition had no limits, he then turned his sites to China and invaded Korea as a first step, but that didn't turn out too well. 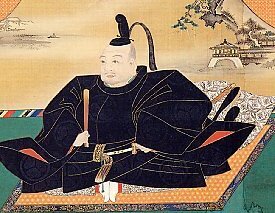 After he died, Ieyasu, born in Mikawa, the eastern neighbor of Owari, stepped in and destroyed all remaining rivals to fully and completely conquer Japan and become the next Shogun. His family would go on to rule Japan for over 200 years until the Emperor took back control of the country and started the modern era. This warring states period and these men are remembered fondly by the Japanese people. As I stated above, samurai movies are generally set in this period (or the next, Edo) and these men are considered to have set the stage for modern Japan. Nobunaga made the pie and Hideyoshi baked it, but Ieyasu was the man who ate it.